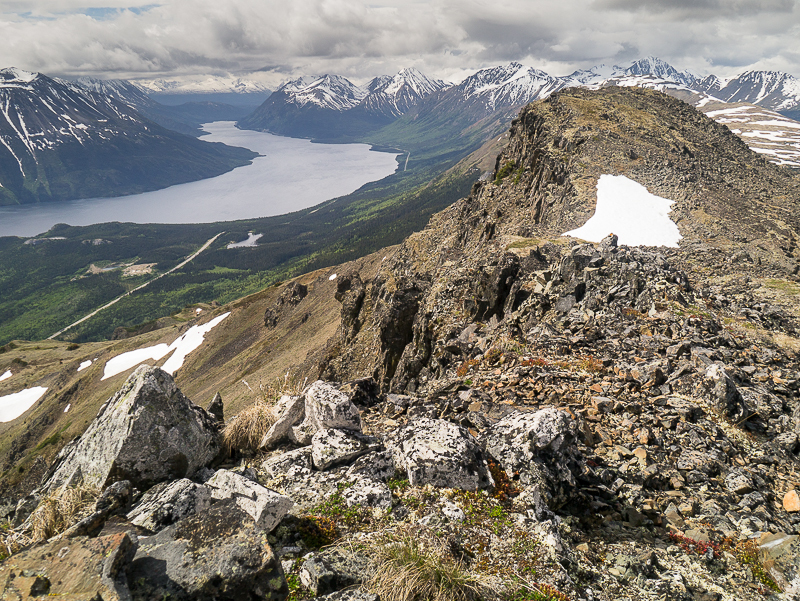 Mount Racine is a prominent peak at the south end of Tagish Lake's Windy Arm with sweeping views also over to Tutshi Lake and the surrounding mountains. 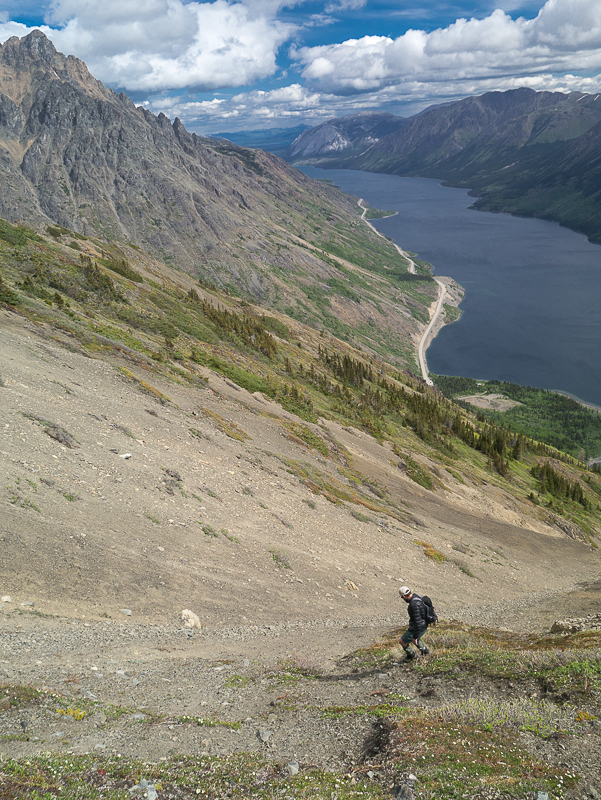 The route is a direct one, straight up the main avalanche path, which is the quickest way to the top and also avoids the most bushwacking. 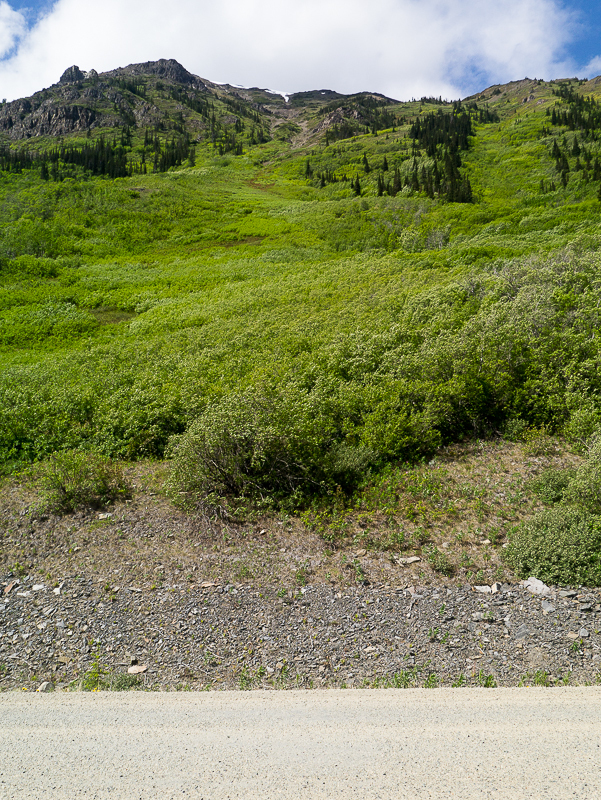 Drive south on the South Klondike Highway towards Skagway, Alaska. 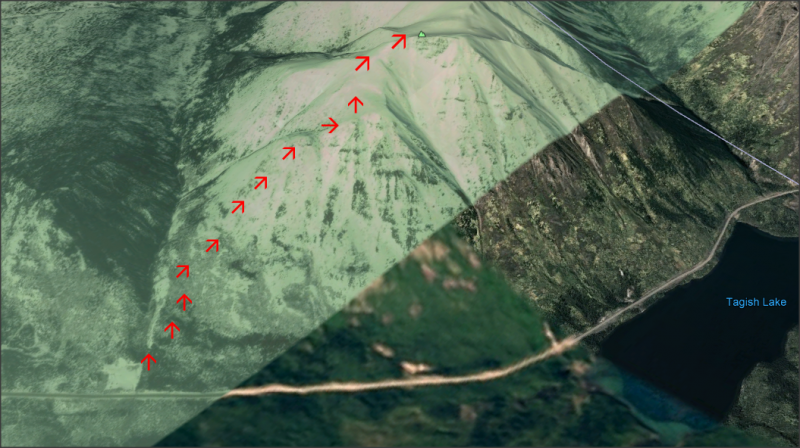 Past Carcross and approximately 1.4 km south of the Yukon/BC border there is a prominent avalanche path on the right side of the highway. This is the trailhead. Find a safe place to park on the side of the highway. 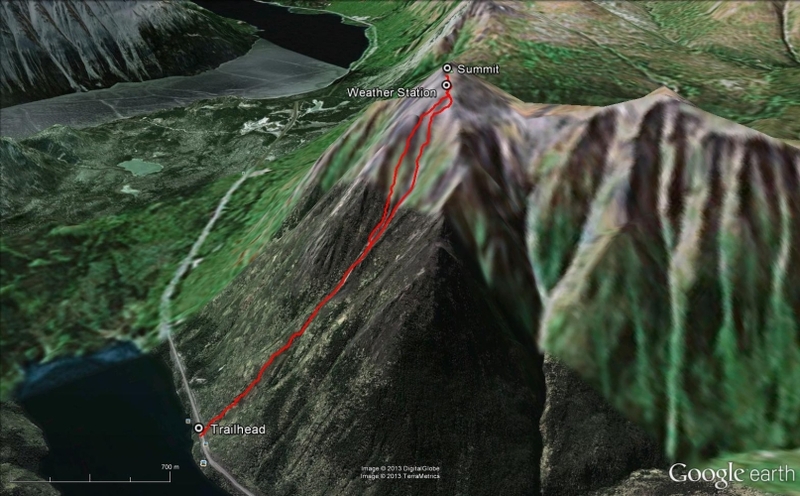 This route follows the avalanche path up to the summit. 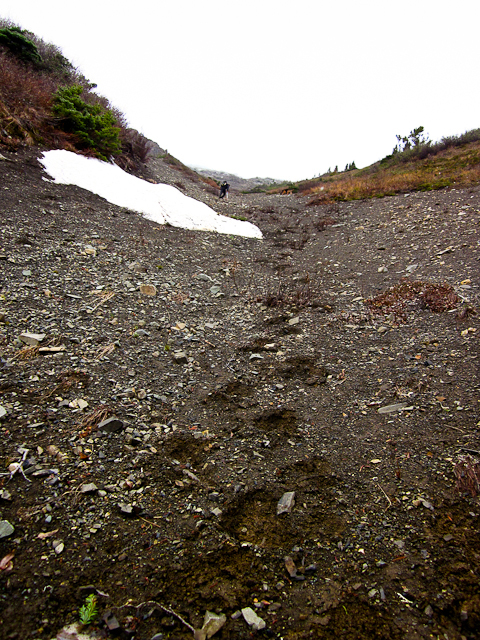 The first part of the route requires some bushwhacking up through the base of the avalanche path. The bushwhacking takes about 45 minutes and is not very pleasant. 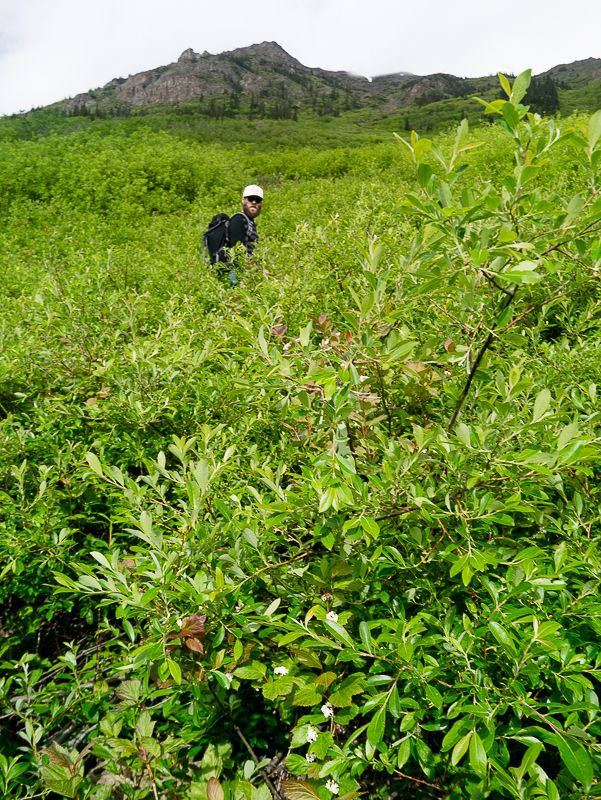 Most of the vegetation is willow and high-bush cranberry, and this route may be something to avoid during berry season, so as not to run into foraging bears. 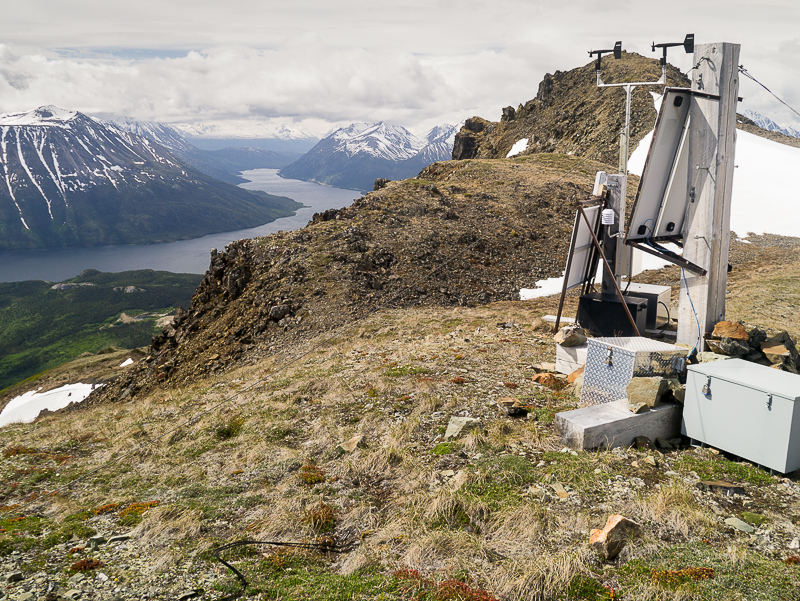 The vegetation becomes sparser after roughly 200 m elevation gain, and the ground underfoot becomes a mix of bedrock and small gravel. 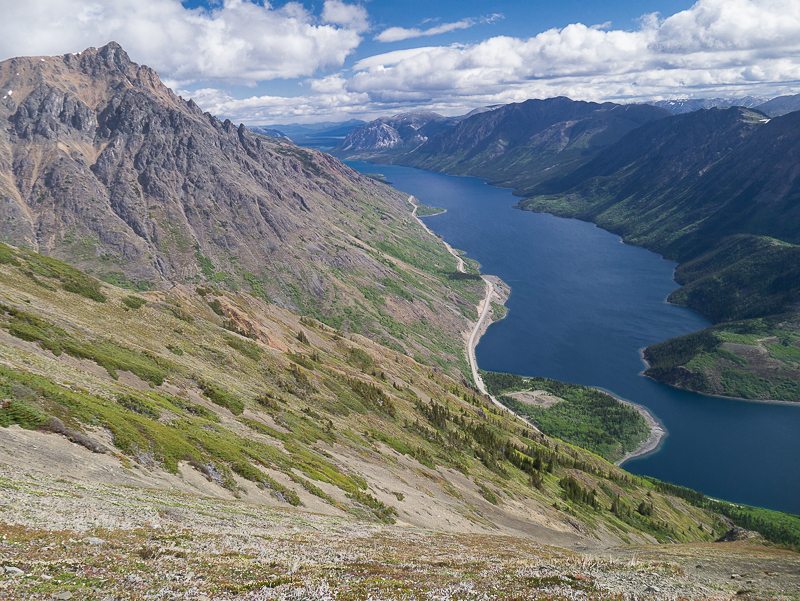 Continue up through a series of gullies, straight up the mountain. 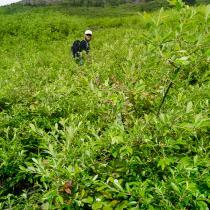 Try to stick to vegetation, because the loose scree can be difficult to walk up. It is relentlessly steep the entire way up the mountain. 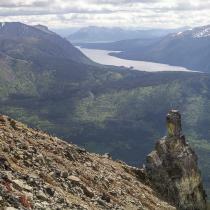 The landscape opens up as you gain elevation, with the occasional large, rocky outcrop to navigate around. 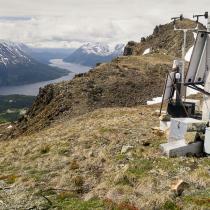 Near the top of the mountain there is a weather station, and the summit is another 150 m to the southwest. 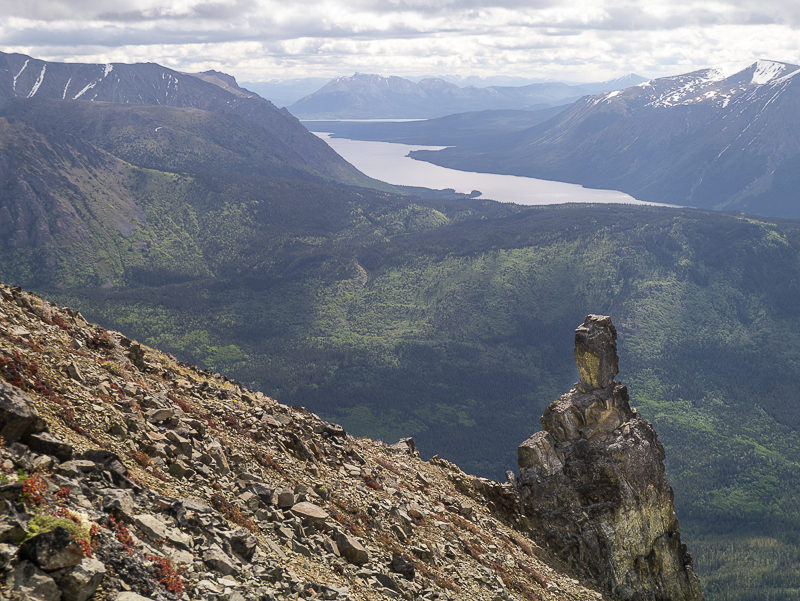 There are some impressive rock pinnacles along the south side of the summit. 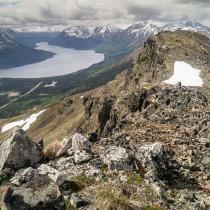 Enjoy the views if the weather cooperates, before switching gears and heading back down. The easiest way down is to follow one of the main gullies, either the way you came up or a large one to your left (looking downhill). 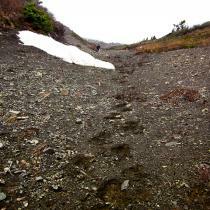 Look for those nice tracts of small sized scree, which cushion each step, carrying you downhill. Or if there's any snow remaining, glissade down the snow if you feel comfortable doing so. Have you been to Mount Racine lately? 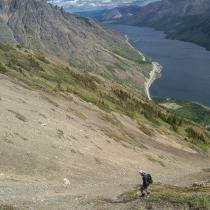 We approached the mt from the gravel pit half way up the long hill that takes you to Tutshi Lake. We crossed the creek and followed the ravine on a game trail. Finally we went straight up the Mt. The first part was grueling and steep. The last third up the mt was less steep and very pleasant walking. I would recommend coming down the same route unless your knees are very young and supple. Was curious about the route, did it last year. It's the same route that they actually have on here. 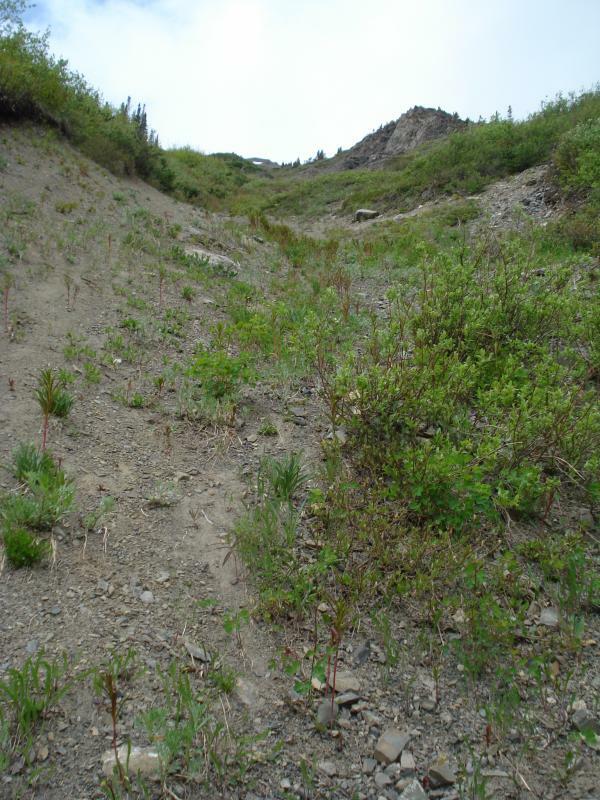 Personally its a grueling hike, just because of how the brush is at the beginning, you can find patches of open space so best to scout from below first. 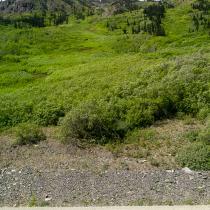 The way down isn't that bad, its very steep, but...at least you are walking with the willows rather then against. 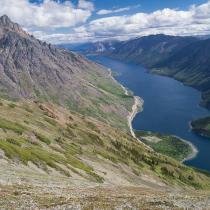 Worth hiking, at least once, amazing views and good chance to see wildlife on other side.